The Civic Committee of the Commercial Club of Chicago recently proposed a plan to pay down Illinois’ underfunded pension debt and balance the budget through a number of tax hikes and revenue grabs that included classifying retirement and pension payouts as regular income. Illinois doesn’t tax retirement income. 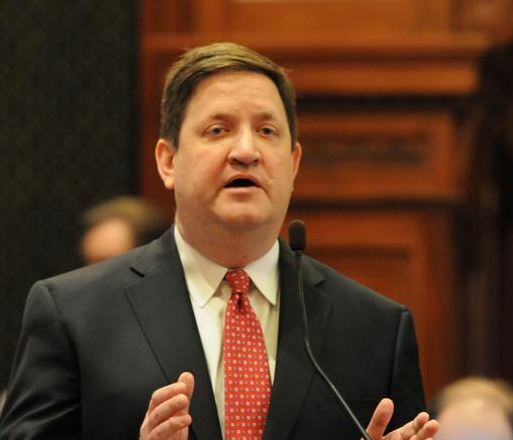 Since the suggestion was made to tax retirement income, McSweeney’s measure has picked up sponsors Sam Yingling, Jonathan Carroll and Jerry Costello II, all Democrats, along with Plainfield Republican Mark Batinick. Read more from the Illinois News Network here. Instead increase tax on wealth producers and landowners who are charged by law with financing the pension largesse created by these same elected government officials. Perhaps McSweeney’s time would be better spent on crafting a bill dealing with pension reform rather than crafting legislation seeking to exempt one group to the disadvantage of another to pay for a bankrupt pension system he and his colleagues created and continue to promote.